Family fishing at its best down in the Florida Keys. Indisputably, Key West is family. Since the 1880s, the Wolkowskys, my mother’s people, have laid claim to this six-square-mile island at the end of the Florida Keys, a mere 90 miles from Havana. Great-grandfather Abraham first came with his peddler’s pack and started his dry goods and second mortgage business. His son Isaac once kicked Ernest Hemingway out of his bar on Greene Street. My “conch” mother Ruth was born on South Street across from the southernmost house on the U.S. continent. And Uncle David’s renovating genius would transform, nearly single-handedly, historic Key West around Mallory Square, Pirate’s Alley, Captain Tony’s Saloon, the Pier House Resort & Caribbean Spa (formerly, the Havana Ferry Docks), the Sands Beach Club (now Hilton’s The Reach Resort), the Kress Building on Duval, home today to Jimmy Buffet’s Margaritaville Café, and my uncle’s stunning Ballast Key seven miles off the harbor. In the last two decades, the island paradise has slowly relinquished some of its ineffable tropical charm for gentrified resorts, trendy eateries, cruise ship day-trippers, and a boisterous downtown night scene. The good news remains that tasteful compromise with the past does exist, especially with accommodations in a town where parking is as scarce as sandy beaches. On Truman Avenue across from The Basilica of Saint Mary Star of the Sea, my Aunt Edna’s convent school nearly a century ago, stand the 37-room Key Lime Inn and 33-room Chelsea House, two of six in the Historic Key West Inns collection. While the Chelsea House includes two former estate properties (1891 & 1905) with Queen Anne architectural details including turned posts, turrets, columns, wooden finials and scrollwork, the Key Lime Inn dates back to 1857 with a Bahamian style of post and beam construction with wooden pegs, broad wraparound porch, and second floor eyebrow windows. With valuable guest parking, individual cottages, lush sapodillas, bougainvillea and croton, the two historic inns offer continental breakfast poolside, free courtyard WiFi, flat screen TVs, mini fridges, several pet-friendly rooms, and easy walking distance to Duval, the historic Old Town, and KW’s amazing above-ground cemetery on Margaret and Angela Streets. Key West is synonymous with fishing, from its abundant Atlantic reefs, packed Gulf wrecks, to the teeming western waters off the Dry Tortugas. For family fun go to Garrison Bight’s City Marina and board the 58-foot Gulf Stream IV (10am-4pm) to fish the shallows for snapper, grunts and yellowtail. Owner Jamey Snediker maintains a tidy boat with large enclosed cabin, full service galley, and bench seating. 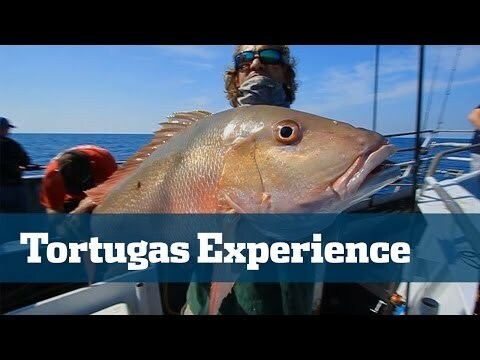 But bold Hemingway-style adventurers can opt for a two-night Dry Tortugas fishing voyage from Stock Island on the 87-foot Yankee Capts (see video), a trip that brings you to America’s top bottom fishing grounds for large grouper, mutton snapper, and kingfish. Captain Greg Mercurio’s wheelhouse is loaded with top-line electronics (Furuno radar, Hondex video fishfinder, satellite weather software), motors with two Cat 1500 h.p. engines, houses a snug main cabin with fine galley cuisine, and contains 42 air-conditioned bunks below deck. Off the Dry Tortugas and Marquesas I observed nature in a near pristine state – loggerhead turtles bobbing on the surface, dolphin chasing the ship’s bow, nocturnal squid changing colors, flying fish magically shooting out of the waves, and brilliant technicolor sunsets leading to onyx-black starry skies. After thirty hours of anchoring in depths up to 280 feet I caught seven gorgeous pink-hued mutton snapper the helpful crew filleted at the dock on our return.